It has been a complicated year for Hollywood and the Internet. Hacks of celebrity photos stored on iCloud, Quentin Tarantino‘s “Hateful Eight” being canceled after the script was prematurely leaked (but now back on!) and, of course, that minor incident potentially involving a country just above South Korea. If the relationship between technology and the media industry was starting to hit its stride, 2014 did its part to slow that down. Agents, studio execs, label heads and talent could be forgiven if they wanted to disconnect their laptops, power down their smartphones and go back to hand-written notes and couriers. But a response like this would set the industry back — not protect it going forward. Of course, Hollywood isn’t unique in its attention-getting cyber attacks and digital snafus. Major retailers are dealing with unrelenting waves of credit card hacks, banks are coping with constant breaches, healthcare companies are under cyber attack and every energy and industrial companies are perpetually on guard from “advanced persistent threats” from foreign nations in search of critical intellectual property. This is the cost of doing business in the 21st century. But for Hollywood, this growing phenomenon is starting to get personal. Hollywood is uniquely exposed because information is its primary product: scripts, contracts, dailies, VFX shots, trailers, masters and final cuts have all become digital. The productivity attained by this data going digital is enormous, but protecting it from its inception to delivery has become much more challenging. The internet has given the entertainment industry so much — new distribution channels, wider access to customers, and the ability to move data at the speed of light to anyone in the world. It’s offered us communication apps that let an agent check in on ten clients at once, secure file sharing that enables a record producer to listen to the latest track on the road, and collaboration tools that put filmmakers located around the world virtually in the same place. But the internet also delivers a wealth of complexity to deal with. And the collaborative nature of Hollywood makes security even more thorny. Given how information flows between multiple parties to complete any project, the responsibility to protect content is shared by everyone. The security of today’s systems and organizations is only as strong as the weakest link. Users with bad passwords, seemingly unimportant and compromised systems that connect to more important systems, and the broad network of external partners and contractors with varying security practices — all these factors invite opportunities for malicious activity. This interconnectedness means there’s no simple solution. There’s no silver bullet — no single piece of software — that will secure and protect intellectual property. Unfortunately, General Baringer’s response in “Wargames” to finding out they were locked out of the mainframe that controls its missile silos — “Just unplug the goddamn thing! Jesus Christ!” — won’t work either. Technology isn’t going anywhere, so we need to more intentionally incorporate it in everyday transactions. For agencies, studios, production companies and talent, security will have to become part of their culture and mindset. No longer can information security be treated as “someone else’s problem.” And the same processes that served the industry so well in the analog age will become its vulnerabilities in the digital age. Better security “hygiene” (everything from the passwords we use, to apps we download, and information we share), investment in modernizing software and networks, and a cultural shift toward understanding and appreciating information technology will all have to occur to stay protected. Boards of directors should pay attention to IT and security practices as a form of governance, individuals should become more aware of the different threats the industry faces, and there should be a greater push to standardized approaches of sharing between parties. While the entire world faces similar threats and challenges, few industries are as driven by its intellectual property as Hollywood. 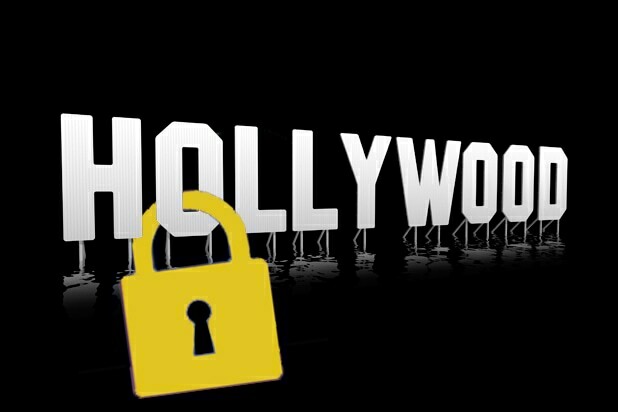 Whether it’s a nation-state trying to prevent the release of a movie or just a misplaced iPad with the latest tentpole script on it, security needs to be top of mind for Hollywood from here on out. "Hackers" (1995): It's only on the top of the list because of the name, since this cyberpunk adventure starring Angelina Jolie, Jonny Lee Miller and Matthew Lillard didn't exactly impress critics. It was, however, on the forefront of predicting a cyber crime wave that has finally hit Hollywood. "The Net" (1995): The trailer tells viewers that "computer analyst Angela Bennett was just doing her job when she stumbled onto something she never should have seen." The same could be said about future Oscar winner Sandra Bullock, who was just doing her job by leading the cast of this terrible science fiction movie nobody should have seen. Still, people around the globe paid $110 million to see it in theaters. "Antitrust" (2001): This Silicon Valley techno thriller earned "Cruel Intentions" star Ryan Phillippe his first million-dollar paycheck, which ended up being 1/18 of what the entire movie made in theaters. The critically panned MGM release followed a gifted computer programmer being given a dream job by a Bill Gates-like genius who will do whatever it takes to make sure his computer firm remains the most powerful in the world. "Live Free or Die Hard" (2007): This worthy addition to the beloved Bruce Willis action franchise revolved around John McClane joining forces with a young hacker (Justin Long) to stop a cyber terrorist (Timothy Olyphant) from crippling Washington D.C. with his keyboard. Fortunately for America, the world's toughest cop was too old at that point to understand technology, so his fists won out in the end. "The Matrix" (1999): Keanu Reeves' character in this sci-fi classic was a computer hacker before he was "the One," and the Wachowski siblings went ahead and ruined the franchise by completing the trilogy that never lived up to fans' expectations. But hey, remember the first time Neo dodged all those bullets in slow motion? Yeah. That was awesome. "WarGames" (1983): Matthew Broderick proved in this Cold War thriller that hacking into your school's computer system to change your grades is a gateway activity that could lead to accidentally starting global thermal nuclear warfare. In his defense, this movie makes playing global nuclear warfare from your desktop computer look really fun. "Swordfish" (2001): Long story short, Hugh Jackman plays a hacker hired by John Travolta to help him steal millions of dollars to pay Berry to show her breasts, or something like that. "Firewall" (2006): Cyber criminals force Harrison Ford into robbing his own bank when they break into his home and hold his family hostage. It wasn't very good, but at that point in Ford's career, just about anything could have been considered a step up from "Hollywood Homicide." "Blackhat" (2015): This movie hasn't hit theaters yet, but since the majority of movies about hackers aren't memorable for being good, here's to hoping director Michael Mann's will be. Chris Hemsworth stars as the sexiest hacker alive who is released from prison to help law enforcement catch a cyber criminal threatening to take down international financial markets. "We Are Legion: The Story of the Hacktivists" (2012): We've all read about Anonymous at some point or another -- the hackers united under a Guy Fawkes mask and a mission for truth -- and this documentary charts the organizations rise and evolution, while even unmasking a few members. "The Internet's Own Boy" (2014): This documentary about hacker and Reddit co-founder Aaron Swartz just landed on the short list of films competing in the Oscar race for Best Documentary Feature, and for good reason. It explores the computer prodigy's relationship with technology, and how its affecting our civil liberties. Sony is reeling from being hacked, but Hollywood has been producing stories around cyber crime for years. Here are 11 of the most memorable. Aaron Levie is Chief Executive Officer, Cofounder and Chairman at Box, which he launched in 2005 with CFO and cofounder, Dylan Smith. He is the visionary behind Box%u2019s product and platform strategy, which focuses on incorporating the best of secure content collaboration with an intuitive user experience suited to the way people work today. Aaron leads the company in its mission to transform the way people and businesses work so they can achieve their greatest ambitions. He has served as a member of Box%u2019s board of directors since April 2005. Aaron attended the University of Southern California from 2003 to 2005 before leaving to found Box.